We are committed to providing quality healthcare to families located in the Santa Clara area and treat patients of all ages. We provide comprehensive solutions for our patients' oral health needs. Believing in the importance of listening to our patients, we take the time to truly understand each person's needs, goals, and lifestyle. By understanding our patients' objectives we can provide solutions that will improve their health while transforming their smile into something bright and beautiful. Star Dental specializes in beautifying smiles, and maintaining your dental health. We uphold the importance of educating patients about proper oral healthcare and are personally involved in answering any questions and concerns our patients have. Our experienced and friendly staff takes great pride in keeping your smile beautiful. The products we recommend and use are the highest quality and incredibly durable. You can trust your smile with us. Star Dental is located in the heart of Santa Clara, where we are honored to be part of the community. Call today for an appointment! Some of our services include: Placing and Restoring Implants, Cosmetic Veneers and Fillings, Braces, Invisalign, Root Canal Therapy, Porcelain Crowns, Laser Gum Treatment, and more. Star Dental is located at 980 El Camino Real Ste 250, Santa Clara, CA. We are currently accepting new patients, and you can schedule an appointment by calling 408-676-5323. I personally believe that Virginia Tchaga is the best doctor in the area. I am very picky and had many doctors prior and had never been satisfied, so kept looking. When you come to her office you feel very important. Dr. Tchaga works Saturdays which is very convenient. She treats all my family members for a few years now and everybody loves her. Will always recommend her. Verginia Chaga is absolutely one of the Best Dentists in America ... Very happy with her skills, knowledge, manners and pricing. I dislike going to dentists in general - wonder if anyone does - but with Verginia as my Dentist - I'm fearless! Dr. Tchaga is the best dentist I've ever had. I recently switched to Star Dental from Northern Dental and I was amazed by how wonderful a dentist visit could be. She's patience and kind, always willing to answer your questions. Also she has a gentle touch and makes you feel very comfortable. I wish there were more dentists out there like her. 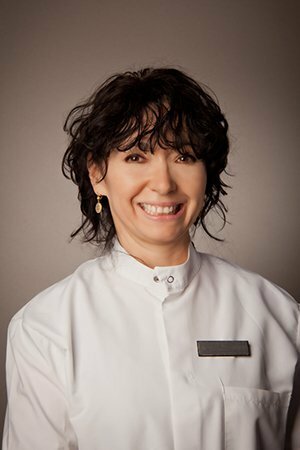 Dr. Verginia Tchaga and the staff at Star Dental provide quality dental care to patients in the Santa Clara area, focusing on a comprehensive approach to oral health. By treating and educating patients, our team helps patients to stay healthy in between visits. Our staff understands the importance of listening to patients, helping them to feel comfortable and relaxed. This personal approach is evident in everything we do. From making an appointment, filling out paperwork, conducting an examination, and providing dental treatments, the staff at Star Dental take the time to connect with patients and give them the thoughtful attention they deserve. Our team is trained on state-of-the-art dental procedures and techniques so that patients can benefit from the latest in dental care. Star Dental provides a wide variety of dental services and procedures to address all of our patients' dental health needs. By combining quality patient care with up-to-date technology, we are able to treat patients of all ages in a comfortable and relaxing setting. Our website has information about the following topics: Dentist, Family Dentistry, Cosmetic Dentist, Dental Implants, Teeth Whitening, Emergency Dentist, Dentures, Dental Veneers, Sleep Apnea Dentist, Laser Dentist, Cosmetic Dentistry, Implant Dentist, Kid Friendly Dentist, Dental Crowns, and Dental Bridges. Our Dentist and expert staff are trained to not only treat patients but to identify what caused the health concern in the first place. This comprehensive approach sets patients of Star Dental on the road to recovery and long term oral health. When you walk into the office of Star Dental you will be immediately greeted by our friendly staff who are dedicated to making sure that you feel comfortable during your entire appointment. We understand that patients can feel anxious when going to the dentist, and our staff will take the time to listen to all of your concerns and help you understand exactly what your procedure is going to be like. At Star Dental we pride ourselves on being an affordable family dentist that accepts a variety of insurance plans and payment options like cash and credit cards, because we want to provide a beautiful, healthy smile to everyone in the Santa Clara area. 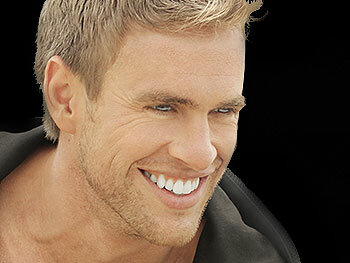 Call Star Dental today at 408-676-5323 to see why we are the dentist of choice in the Santa Clara area.